When we moved in, MrB and I decided that we wouldn’t start any big projects until the summer, to get a feel for the house and understand what will work with the spaces we have…however…you can’t keep me away from a paintbrush for too long! 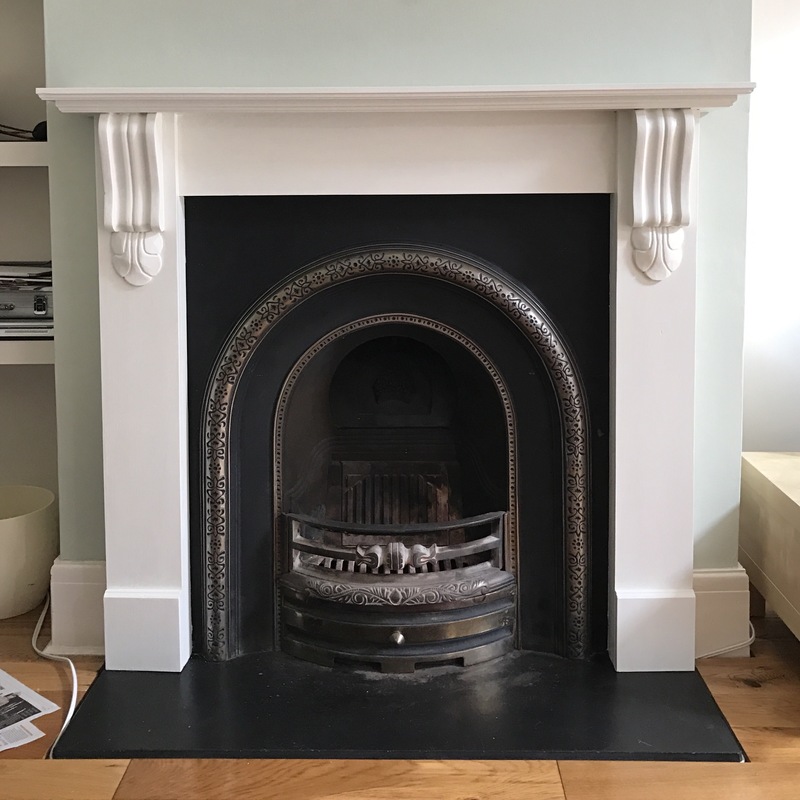 There are a couple of bits in the house that just need a little bit of love, and some personal touches, and these have become our mini-renovation projects over the next few months. 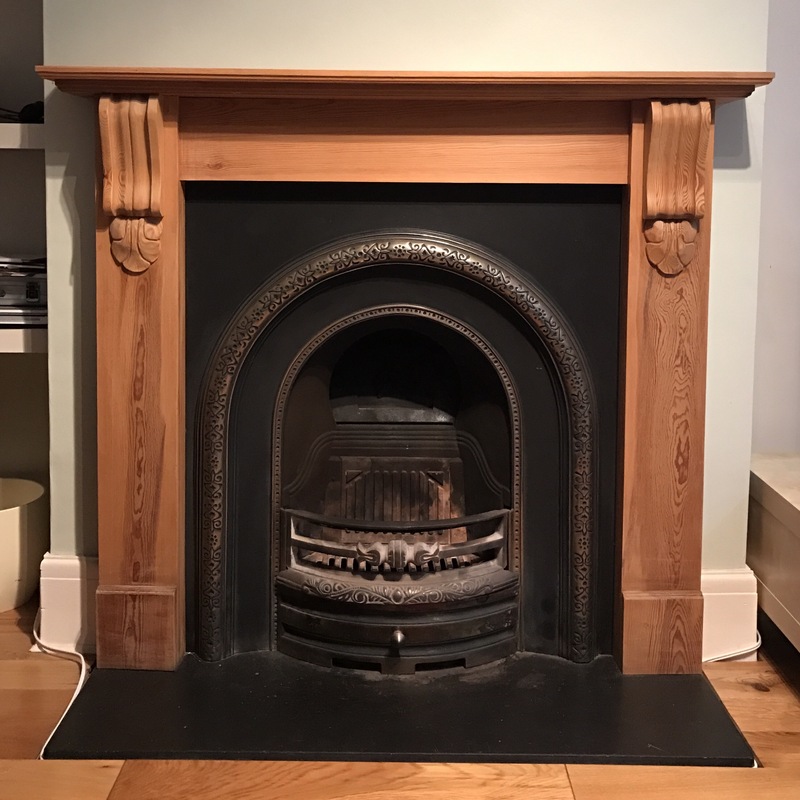 One of those mini projects being our absolutely gorgeous fireplace framed by an unloved pine surround. It made the room feel darker, and looked dated compared to our lovely bright and spacious extension. It’s amazing how one small thing can completely change a space! Cue paint shopping with MrB! As complete novices, and as it was our first taste of decorating (since we had just been buying furniture up until now), we found this a lot more exciting than it probably should have been, and spent ages choosing the right tape, brushes, paint etc. Eventually, we settled on a primer and undercoat combined, made especially for Wood. MrB then chose the paint! (Hooray! The interior talk is working!!) 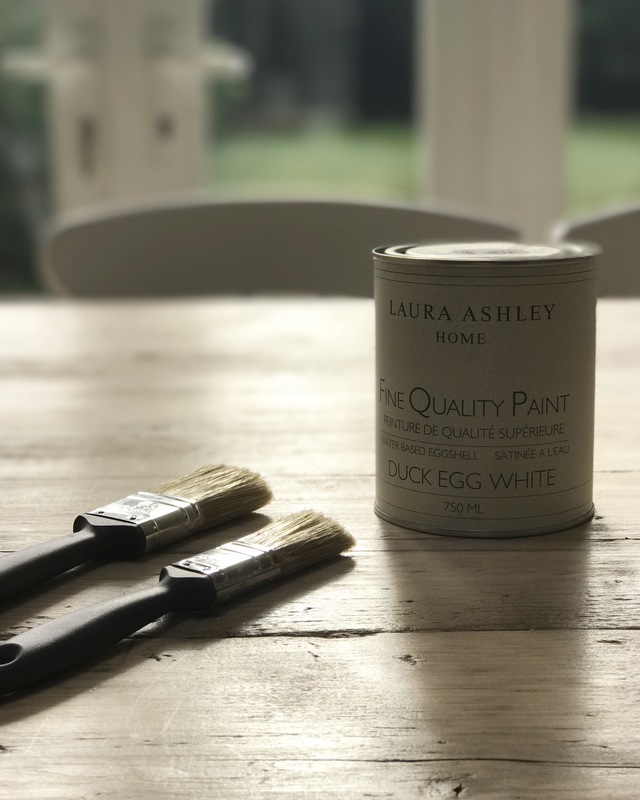 He chose a beautiful Duck Egg White from the Laura Ashley eggshell paint range. I absolutely cannot stand gloss paint on wood, and it has now become my mission to get rid of all the gloss paint in the house!!! Stage 1…cover everything! You would think, by the look of it, we were painting the whole room. We covered all the sofas in dust sheets and taped up the edges of the fireplace, covering everything else in bin liners and newspaper. (Although it still managed to get everywhere!) After giving the wood a light rub down, it was time for Stage 2: the primer. The primer actually covered better than we thought, and we ended up only doing one coat: leaving it to dry for 24hrs. Considering how dark the wood was before, it was surprising how much of a difference it made to the feel of the room. Suddenly it wasn’t clashing with the floor, and made the space feel so much larger. We gave it another light rub down and reapplied more frog tape. CAUTION! 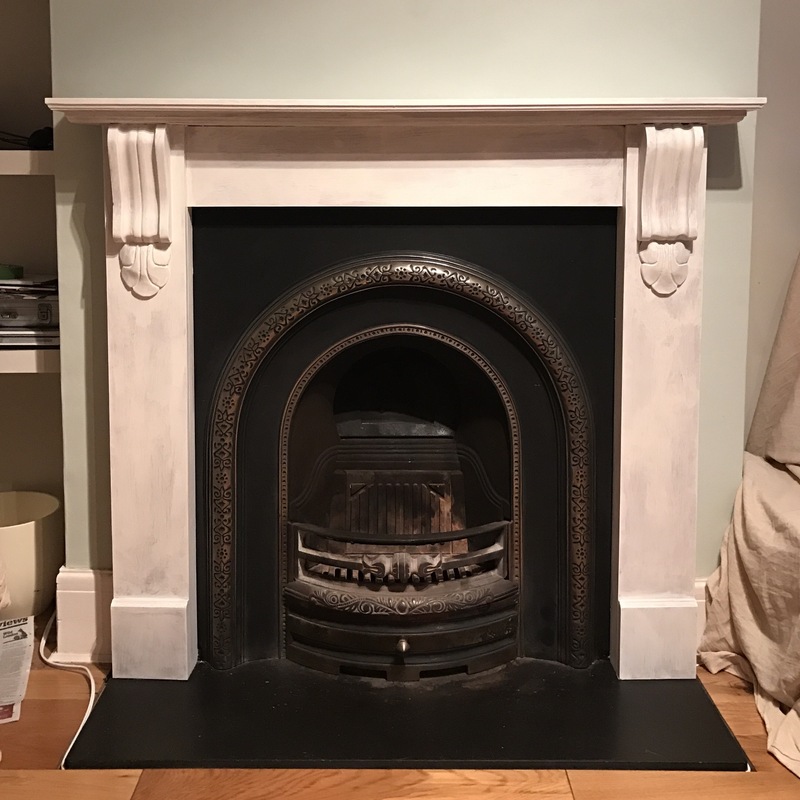 I was quite sceptical about the tape, and even though it gave us a neat edge, it did remove tiny bits of paint from the wall, and some of the cast iron hearth! Definitely one to remember for when we start the next room. The finished product, and we couldn’t be happier with it. 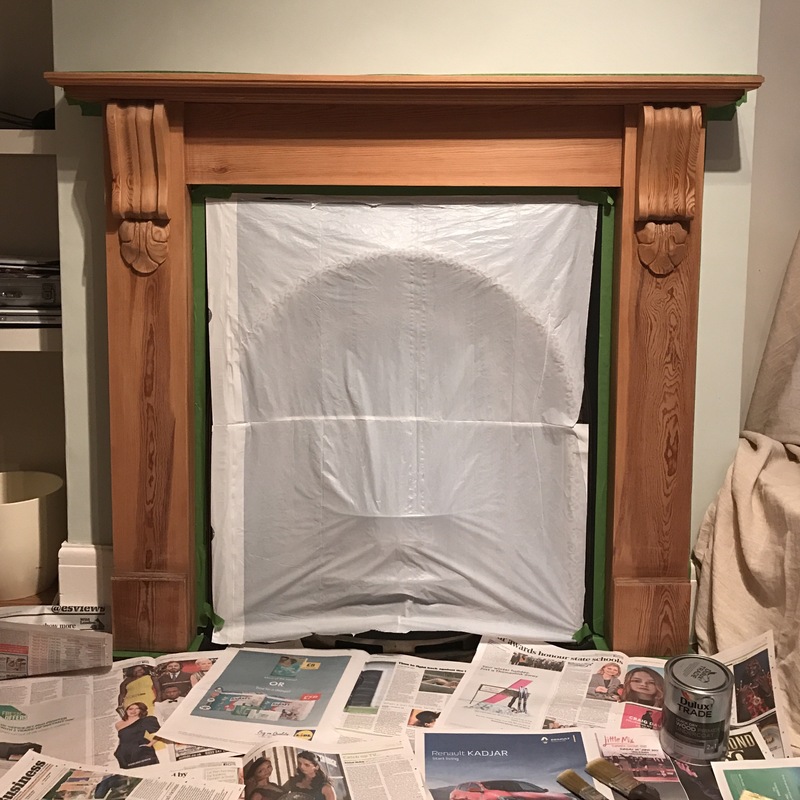 As I mentioned earlier, we ended up applying three coats of the eggshell to guarantee we had the full coverage we wanted whilst also making out the grain of the wood underneath. We could have probably stopped after two coats, but I think if we’re both honest, we were enjoying it too much! This small change has completely lifted and brightened the room, and feels so much more contemporary than before. 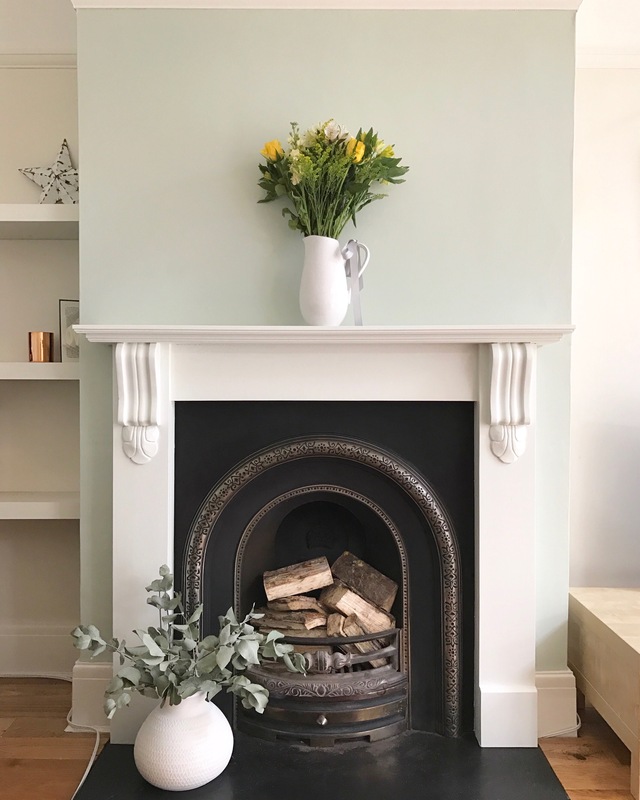 We definitely feel a lot more confident in decorating and up cycling after our first mini project (and I’ve even convinced MrB to go to Antiques Fairs!). I am absolutely loving making this house our home, and can’t wait to get stuck into the next bigger renovation project! It’s so hard knowing what to choose with so many paint options out there but I love this one. Thanks for sharing.